Traditional computer labs are anachronisms, designed when computers dominated desktops. Traditional computer labs are anachronisms, designed when computers dominated desktops. Today’s college students carry all the computing capability they need in their back pockets. In fact, a typical college student has three to five wireless devices. Pedagogies have changed, too, evolving from mostly rote memorization and individual study to more group collaboration and content development. These changes have colleges rethinking how their real estate can best support new ways of learning, and computer labs are prime targets for reinvention. With an investment of resources from OU’s Housing & Food Services and IT departments, as well as close collaboration with the university’s Facilities Management department, Steelcase and Scott Rice, Verbick and his team tackled a computer lab that had remained unchanged for 20 years. “Old style computer labs were very rigid. Fixed desks, hard wired desktops. You couldn’t move anything around. What you could do was defined by the space. We wanted a space students could use in different ways. In other words, the use would define the space,” says Verbick. 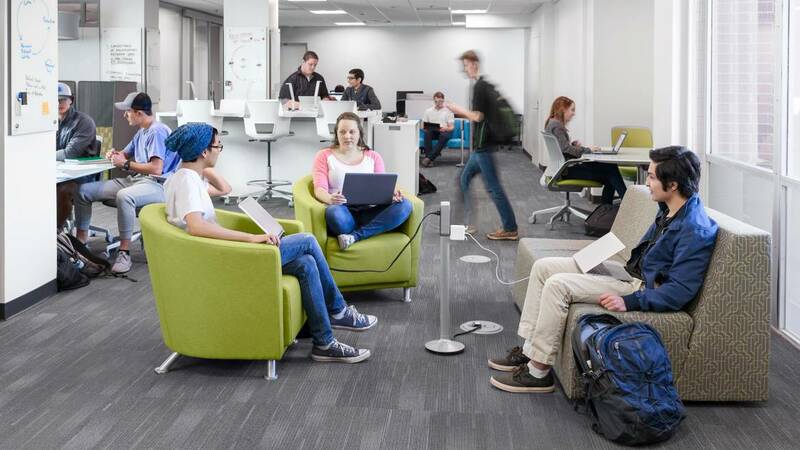 A survey of students found that their top five needs for the new space were fast Wi-Fi, easy access to power distribution, comfortable seating, printing services and writable surfaces. 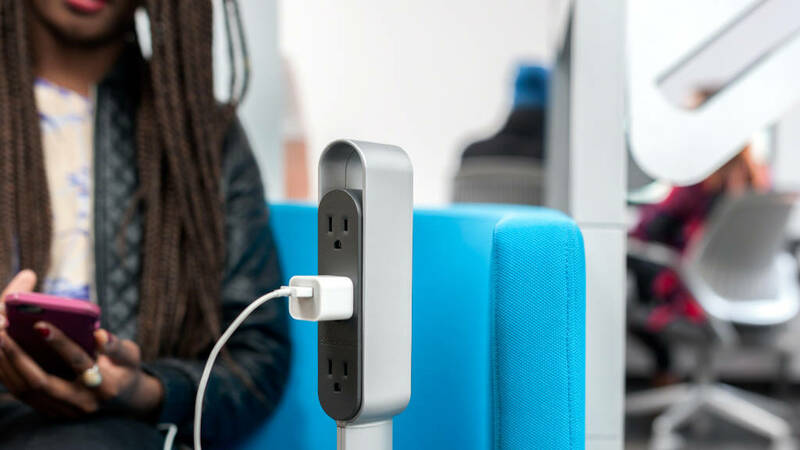 “We developed a vision for a space where students can work individually and in groups, and use both digital and analog tools,” says Verbick. College students’ learning activities change constantly. They might do individual research, meet with a study group, write a paper or practice for exams, all in the same day. The new Couch Practice Center, named after the residence tower where it’s located, offers students an ecosystem of spaces: a variety of collaborative and individual spaces that support a range of learning activities. “The basic idea was that this real estate had to do more. We made sure this new space will have a useful life that extends for a long time,” says Verbick. For example, surveys revealed that OU students value the ability to balance privacy and interaction, so Couch has options for individual study, such as lounge areas and a standing height table in the middle of the space. 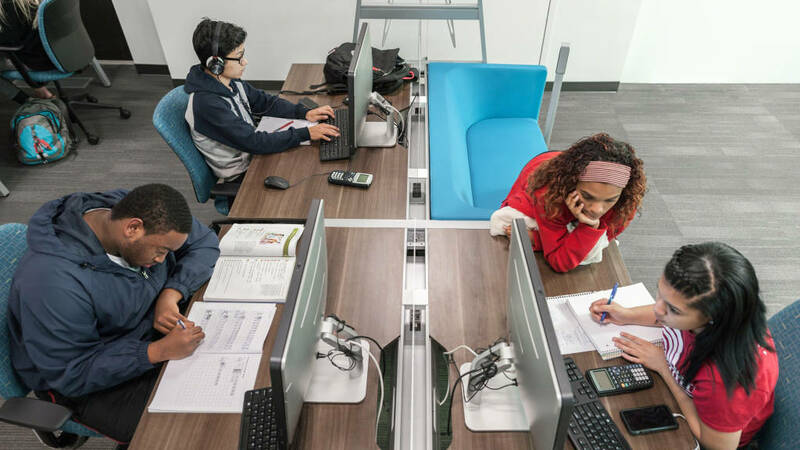 Movable screens and whiteboards can be positioned as needed to screen immediate distractions yet keep students in touch with the vibe of the space. There are also private study spaces such as carrels and quiet corners, for individual study without distraction. 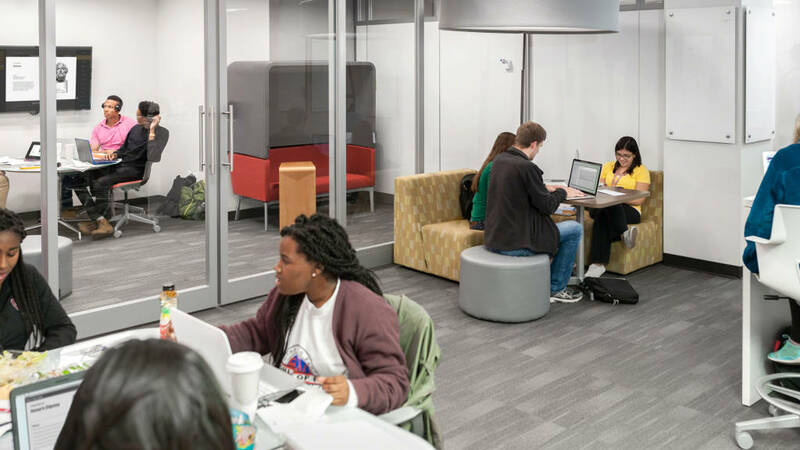 OU students value the ability to balance privacy and interaction, so Couch has options such as lounge areas and quiet corners, for individual study without distraction. Open workspaces at Couch support students working with peers or faculty and staff. Varied postures —sitting, standing and lounging— are supported, too. An enclosed team room and a small classroom support collaboration and provide acoustical privacy. The ability to choose where they study provides students with a sense of ownership and control over how they learn. After all, a goal of higher education is empowering students to take control of their learning, to develop study and work habits they can use throughout their careers. Open workspaces at Couch support students working with peers or faculty and staff. An enclosed team room and a small classroom support collaboration and provide acoustical privacy. Flexibility is ubiquitous at Couch. Enclosed spaces are built with modular walls, so the largest enclosed space, for example, shape-shifts from classroom to closed door private space to freewheeling project area. 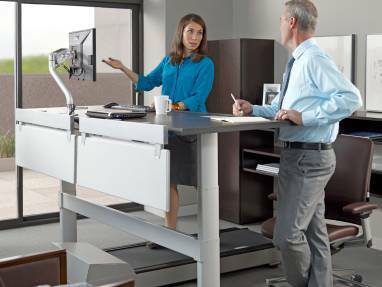 Nearly all furniture is mobile. Students can connect their own devices to large flat screens in the space. Printing, which was the primary reason students visited the old computer lab, is now available via the cloud. Students can print from anywhere to a kiosk at Couch or other campus locations. Students quickly embraced the flexibility of the new space. Tables, chairs, screens and whiteboards are constantly being shifted, repositioned, used by one team then repurposed by another. 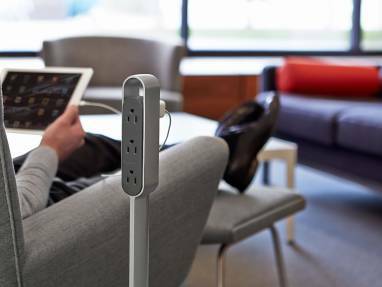 Tech-laden students are always looking for power for their devices, so OU planned to make power “pervasive” in the space. They considered using in-floor trenching to increase the number of power outlets, but the cost estimate, including additional floor boxes for power outlets, was $40,000. Instead, OU used Thread under-carpet power distribution for a more flexible solution —at just one-tenth the cost. OU used Thread under-carpet power distribution system to make power pervasive in the space. From its opening day, the Couch Practice Center has been a major draw. 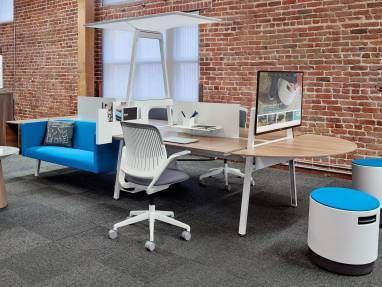 More students are using the space, in more varied learning modes and postures. The quality of student experiences has improved, too. Couch also contributes to OU’s efforts to recruit and retain students. “When students visit residence halls, we see a lot of students and their parents coming through the Center, too,” says Verbick. Ongoing events encourage students to engage with their peers, faculty and outside experts, and participate in hands-on learning experiences that they might not experience in the classroom. 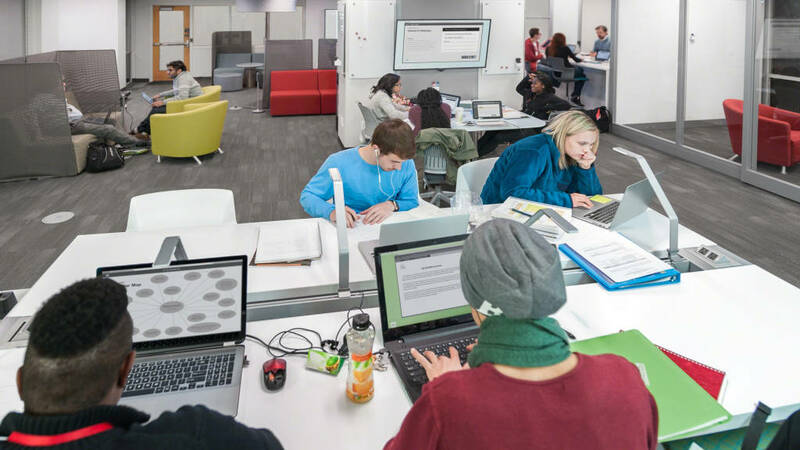 The Active Learning Center Grant from Steelcase Education is launching its fifth cycle to identify educators at the leading edge of active learning pedagogies. Three educators boil down active learning into a two-part equation guaranteed to support student success and enhance teachers’ experiences in an active learning classroom.